100 days of a new American administration lurching between scandal and painfully comedic incompetence has no doubt inspired nostalgia in many given the relative intellect and sentience of the previous regime. The direct inverse has been the case in F1 in recent months. The advent of a Liberty Media regime so outwardly committed to fan engagement and common-sense reforms has injected a breath of fresh air into a paddock still all to accustomed to churlish acts of political posturing. Indeed, a tongue-in-cheek comparison between the doctrines of Trump and Bernie would not be entirely inappropriate. Bernie’s base and crude level of discourse, his provocative tactics to muddy the waters with mirth and madness would be familiar to many unfortunate Washington political pundits. Last year’s “elimination qualifying” meltdown was a prime example: a terrible idea of travel-ban proportions ferociously defended to the hilt by Bernie for no other reason than to repeal it would undermine the sanctity of his proposals. In the absence of a stake holder with any interest in the long term health of the sport, whether it be Bernie, the FIA or the manufacturers, political superiority was all too often the name of the game. For the incoming Liberty Media regime improving on such an impotent melting-pot of money and power may have seen an imposing task. However in two crucial respects Liberty’s influence on the paddock would prove almost instantaneously transformative. 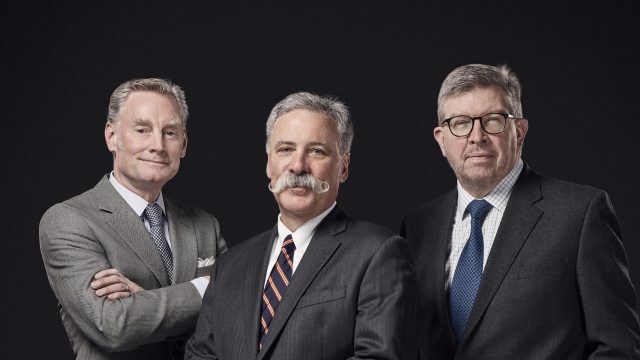 In dispensing with the services of F1’s provocative dictator and in renewing F1’s commitment to its fans, Liberty Media changed the political landscape of the paddock almost beyond recognition. More specifically, there have been promising noises from each of the already widely recognized “three wise men” of F1. Chase Carey has been unequivocal in his commitment to the European stalwart races, Sean Bratches has ushered in a level of unprecedented multimedia engagement (a more liberally stocked YouTube channel is one simple but likely transformative change), and Ross Brawn has set out strategic, long-term approach to sporting and technical reforms that bears no resemblance to the unilateral system of reactionary knee-jerks that it replaces. But before draping Liberty Media in a heroic red-cape we must first ensure that we are subjecting Liberty Media to the same standards of scrutiny that we would expect to apply to any sporting body. One might say that it is easy to score early wins when the paddock has been so utterly starved of common sense in recent years. Indeed, one might argue that instead of spearheading some fan-focused reformation Liberty has simply interjected some painfully overdue logic. That is no denial of the fact that Liberty Media, like CVC, remains predominantly money-minded, nor of the fact that the regime has already made mistakes: a meeting between Carey and a Turkish president Recep Tayyip Erdoğan entrenched in constitutional controversy immediately evoked memories of Bernie’s preference for world leaders with questionable human rights records. A new member of the F1-autocrat entente? But whilst 100 days of Trump has been more than enough to confirm our worst fears, reflecting on its first 100 days does no justice to F1’s new administration. The so-called “three wise men” have yet to scratch the surface of F1’s entrenched problems, of declining audiences in formerly fruitful markets like Germany and Brazil, of the perpetual financial instability of the smaller teams and of the need create a cutting-edge yet affordable technical formula. There will be significant moments in the mean-time, moments to assess Liberty’s performance; such as the success, or otherwise, of the 2018 German Grand Prix, and Brawn’s success in overcoming team recalcitrance in formulating his technical reforms, however because Liberty Media’s challenges are predominantly long-term ones, it is best to try to avoid any kind of reflective discussion of their efforts until at least 2019.